After recent massive and global ransomware attacks ("WannaCry": http://scforum.info/index.php?topic=13305.0 & "NotPetya": http://scforum.info/index.php?topic=13541.0)... Now, We all know how important is BACKUP of our data! 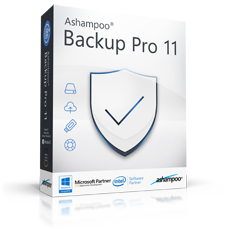 Ashampoo Backup Pro 11 can back up and restore individual files or entire operating systems safely and securely. Backups support auto-updates and can either be stored locally, on network drives or in the cloud. Ashampoo Snap 10 can capture anything you see on your screen as screenshots or videos. You can then edit, annotate and share the results with others comfortably. 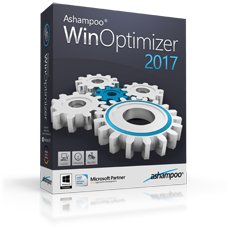 Ashampoo WinOptimizer 2017 is an excellent choice to free your system from junk data. Various powerful modules help you fix errors and boost the performance of your Windows PC. How to get the prizes from Ashampoo ?! 1a. Subscribe by email address to our Feedburner's service: https://feedburner.google.com/fb/a/mailverify?uri=scforum/IZXj and receive daily email with SCforum's newest content - don't miss new giveaways & be one of the first who will participate. 2. Share information about this Giveaway on other sites, forums, blogs... which you visit often. I prefer Ashampoo Snap 10. But if possible, will not abandon Ashampoo Backup Pro 11. Thanks for the good giveaway! 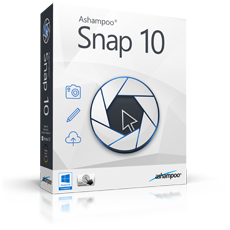 I would like to win ashampoo snap 10 and if not possible then backup 11pro. THANKS FOR THE GIVEAWAY!!! Hi Guys and sorry for short delay. Mentioned members will receive Snap 10 license keys within a minutes (via PM). Mentioned member will receive Backup Pro 11 license key. Pal, first of all finish registration processes at SCforum and after that, at least, share information about our Giveaway on Social network(s) which you use. FYI, We still have 5 license keys for Backup Pro and they will be distributed on first came, first served policy.